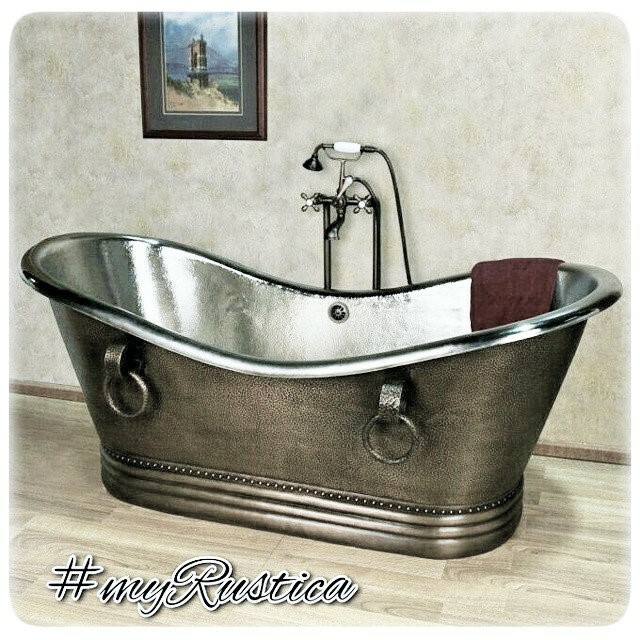 Click the button below to add the Copper Bathtub '9931' to your wish list. The oval shape copper tub in double wall version is a value-added fixture in a bathroom. The bath can be used in both modern and traditional spaces. Model #9931 as shown on the listing photo was manufactured in dark coffee patina. Alternative colors are natural, antique and honey which is the lightest from them all, almost new penny looking. Buy this tub with a built-in over-flow protection preventing water floods in the bathroom. We use copper tubs to connect upper and lower drain holes channeling water back to the drain once it reaches certain level. This double wall copper tub was handcrafted in a few standard dimensions indicated in the product detail page options.